To determine isotope composition of elements such as Li, B, Si, Hf, and Pb in solution, mass spectrometry with inductively coupled plasma (ICP-MS) is an ideal analytical technique. We add spike to solution and correct mass fractionation during acquisition. The new ICP-MS Neptune plus is equipped with multi collectors and with high sensitive Faraday cups. We plan to combine the instrument with laser aberration. 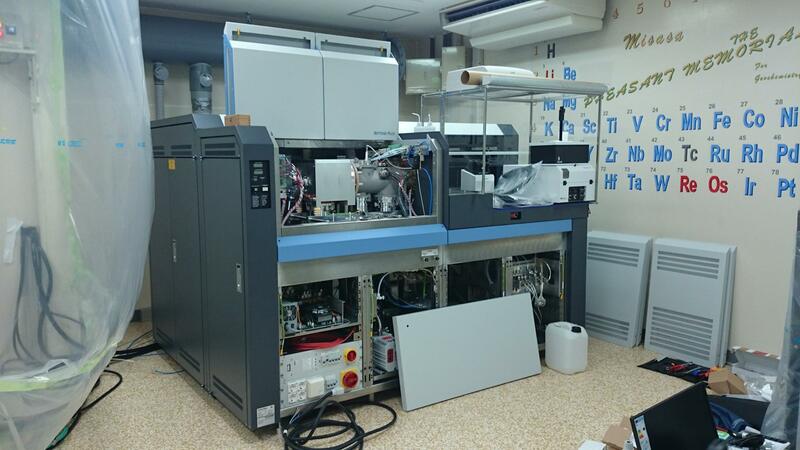 This installation not only replaces the mass spectrometer damaged by the earthquake but also offer us better sensitivity to determine isotope composition precisely.